A unique MCB lockout kit with all the essential parts needed to lock off one mini circuit breaker. Handy carabiner holds the kit together when not is use and when in use keeps the padlock keys safe. 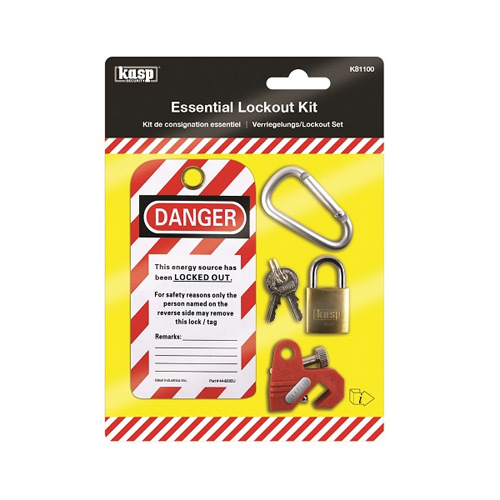 The kit includes:- Easifit MCB Lockout, Brass Padlock 25mm, Danger/Identitiy Tag and a handy carabiner to hold the kit together.